…comes from the Green Dragon! 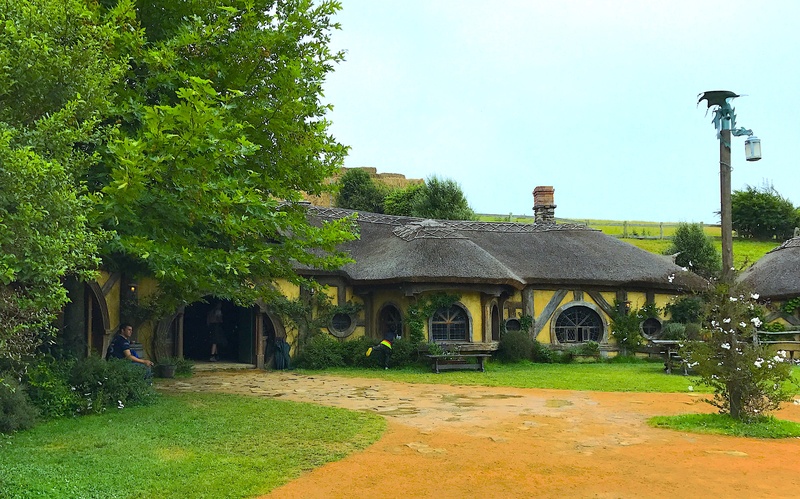 Ariel and I got to do our own rendition of this at the real Green Dragon Inn, which is a fully functional pub on the Hobbiton set in Matamata, New Zealand. In addition to being a fun place, they make their own homemade beers – and surprise – they’re pretty good! Interestingly this song was just made for the movie and isn’t in the books. An odd choice considering how many songs/poems are actually in The Hobbit and Lord of the Rings. But it was a fun addition so we’ll allow it.